I think we are missing a major key player here. 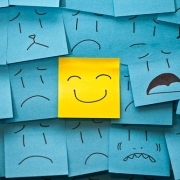 Ask yourself, “How does thinking positively make me feel?” It makes you feel happy – better, right? Thinking positively helps change our mindset because it brings us joy and hope for the future. Thinking positively does have power. You’re putting positive energy out into the universe to send a message of what you want to draw into your life. That’s great, but now what? Joy is what creates miracles in our lives. We can think about being happy all we want, but actually making ourselves happy is where the real power lies. This is what the “Law of Attraction” is missing. It’s not enough to just think about the job we want, the house we want, the spouse we want. We need to literally change our energy to attract those things to us, and we do that through action.Okay, now ask yourself, “What else makes me happy?” What people, things and activities bring you happiness? Do you enjoy movies, long hot bubble baths or time with your spouse? What do you do to relax? Do you have music that makes you feel happy, uplifted and alive? What do you do for fun? How often do you do these things? I’m guessing the answer to that last question is “not enough”. 1. Develop an understanding of how abundance really works and accept the truth that you are responsible for creating the events and circumstances which create your life experiences. 2. Do become aware of your thoughts and beliefs and shift them when necessary. 3. Visualize and focus on your desires – not your fears. 4. Think about your actions, and consciously create situations that bring you joy. 5. Think about your reactions. We’ve been conditioned our whole lives to react to things in certain ways; we do it unconsciously. It’s important not to forget that our reactions to people and circumstances can be just as powerful as our thoughts or actions. You may have a negative reaction habit that needs to be broken. We all want abundance in our lives. We want to be free of financial burden. We want to be loved. It’s not too much to ask for, but you do need to know you deserve it. Creating elements of joy in our lives is powerful and can even be miraculous. Ask Sheri - What are the angels thoughts on mental illness? Hi Sheri – Christmas is normally that best/worst time of the year for me. Best time of year because I love what season do for peoople and community and what it’s respresent. However it always the worst time too. I have always stuggle with having lack of support system. I do have family, however I always have to be strong one. I do have friends, but none whom I lean on for support when I am struggling. I have bottled these emotion inside most of my life. I really crave a for a like best friend whom just there listen and do judge you and give you love and encoragement. I do have friends.. but not best friends whom I can bare my soul. I wondering if I meant do go through life alone without a strong support system other than fact I know we have angels there watching over us. Kim, no one is ever meant to go through life alone. It can be difficult always being the strong one, but that is usually how it is for older souls. I’ve had some issues with this myself, but I had to realize something about myself before things began to get better. My soul naturally wants to help people – the eternal mother – I never want to see those I love hurting or going through a hardship, especially when I know I have the power to help them avoid it. 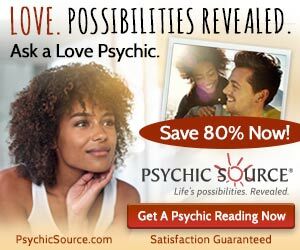 When I first started doing readings, my desire to “fix” seemed to get worse. It took me a while, but I soon realized that it wasn’t my job to be the strong one all the time, and I didn’t need to make everything okay all the time. In fact, I needed to let others take the lead more. They didn’t like it at first. They felt I was abandoning them. They had always looked to me for advice before. However, it wasn’t my job to live their lives for them. I realized that I was impeding their spiritual growth with all my “help”. It is difficult for an old soul to sit and watch others struggle, but sometimes the struggle is what brings the greatest growth and the greatest reward. You are strong, I can see that, but maybe you don’t have to be quite so strong all the time. It’s okay to show weakness now and then. It’s okay to be vulnerable to others. Maybe this will help others see that love and support is supposed to be a give and take. You can’t just give all the time. It’s not healthy. You can lose all your steam and get burnt out. You can even become resentful of those you love most. Maybe it’s time to let up on the reigns for a while, and let someone else be strong. They might not be as experienced as you, but they’ll never learn if you don’t persuade them to try.